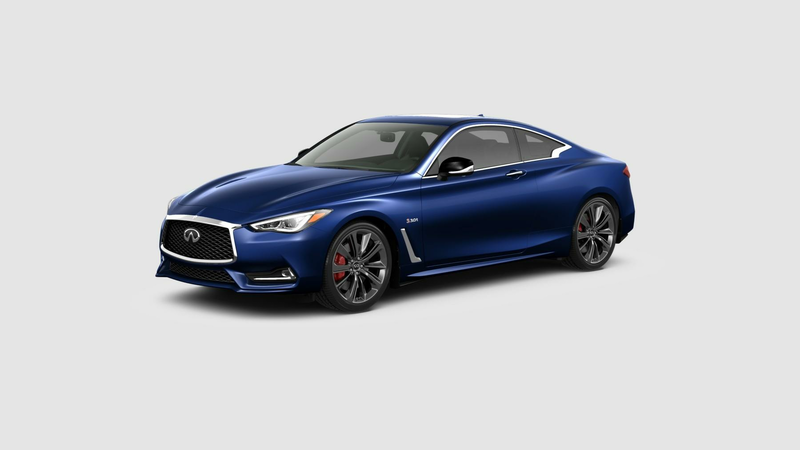 The INFINITI Q60 is an amazing Coupe Sedan featuring the Adaptive Steering and Intelligent All-Wheel Drive coupled with the 2.0-liter turbo I4, or 3.0-liter twin-turbo V6 that can put up to 400 horsepower - this vehicle is fun to drive! The interior was designed with the human frame in mind that is modernized with comfort and style. Lease the INFINITI Q60 today and come in for a test drive today!